A three-bedroom lavish villa with a lawn and swimming pool, done up with modern furniture and equipped with all amenities is the Red Stone Villa in Lonavala. A standalone property, it’s wholly yours for the duration you’re here which gives it homely feels without interference from anyone. A duplex design, the villa can house up to 16 people, which makes it a perfect place to relax, rejuvenate and possibly hold a reunion with your squad. 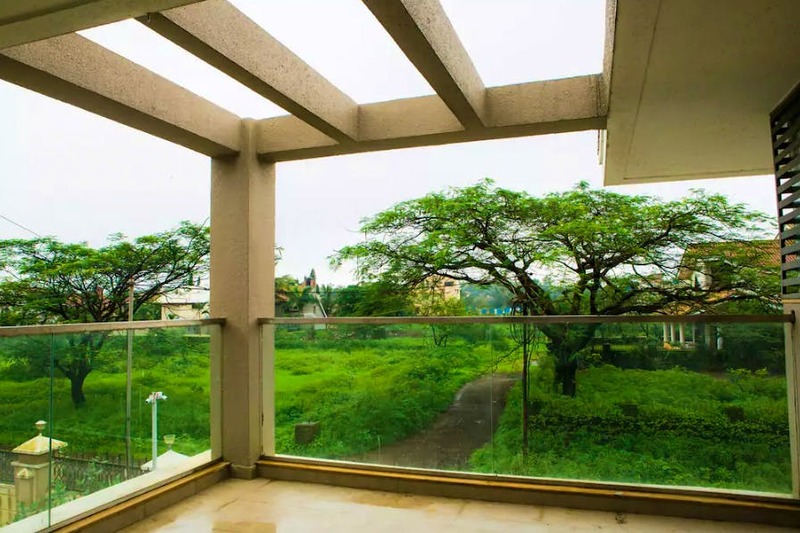 The villa is in Lonavala, just five minutes away from Della Adventure Park. If you plan to travel by road, this won’t take you more than two hours. As alternatives, almost every bus goes to Lonavala from Mumbai; the frequency is that good. And if you’re more inclined to take the train, there is one from all terminals spread throughout the day. Cutting the long story short, getting to Lonavala is the easiest from Mumbai. But this villa is 10 minutes away from the station, and about 15 minutes away from the bus stand. Post this link on that WhatsApp group, now! And plan the grand weekend getaway with your gang here.